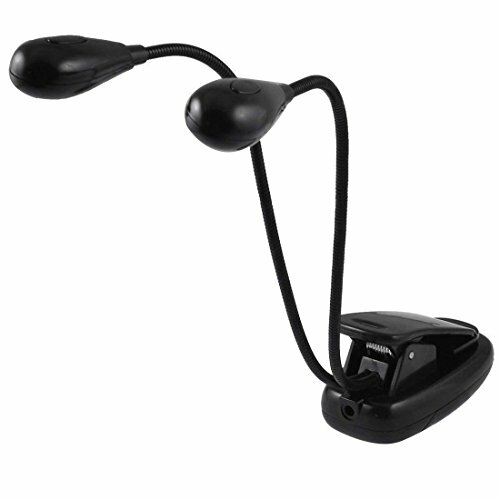 Product Description: Adjustable gooseneck lamp with 2 LED. You can adjust the direction easily.Super LED lights with separate switches.Easy to use with Clip-on or free standing.When battery power is off, you can charge it with USB 2.0 port cable. (USB 2.0 port cable is not include)Ideal for pianos, music stands, orchestra pits, schools, etc. USB Port Output Power : DC 1.5V;Total Height : 29.5cm/ 11.6"
If you have any questions about this product by Ligiloi, contact us by completing and submitting the form below. If you are looking for a specif part number, please include it with your message.